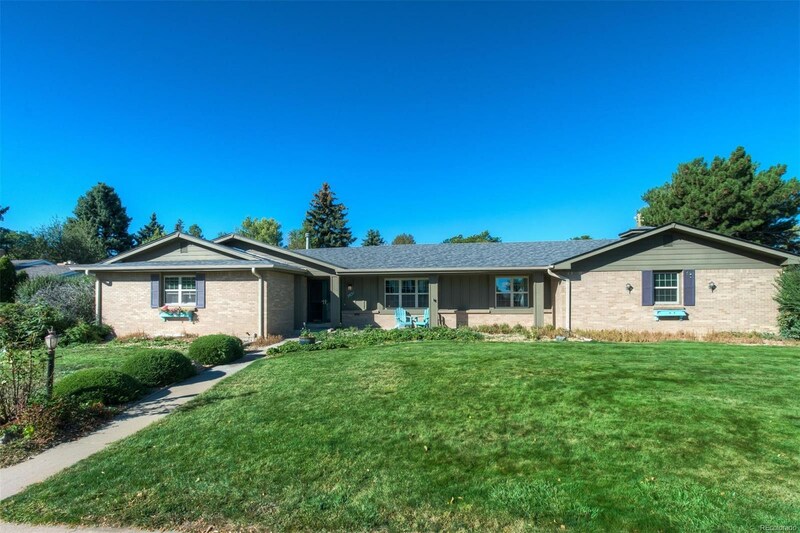 You’ll fall in love with this stylish 4 bed 3 bath ranch – solidly constructed with all the right updates! 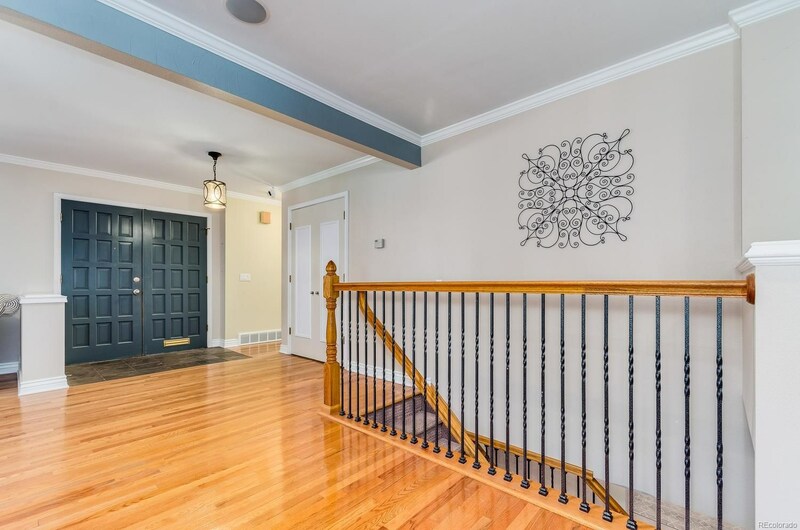 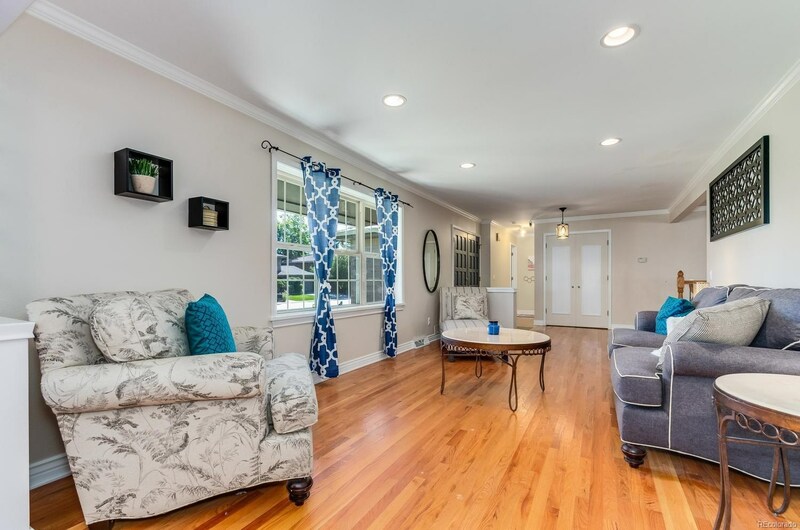 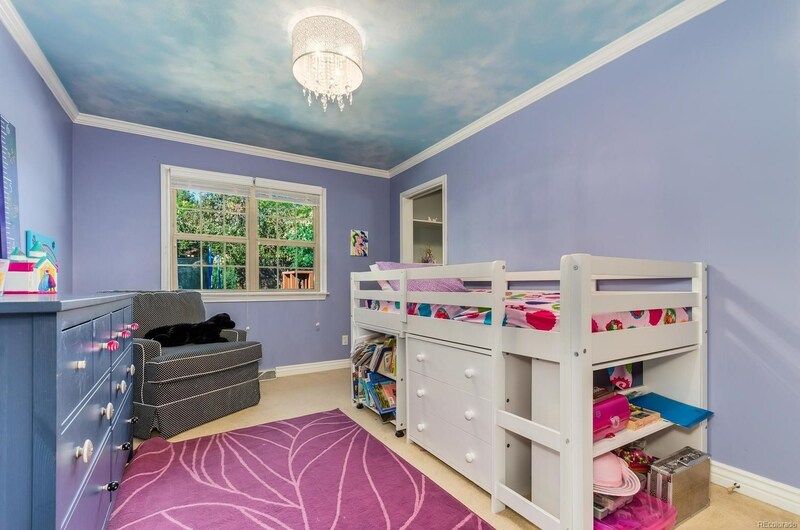 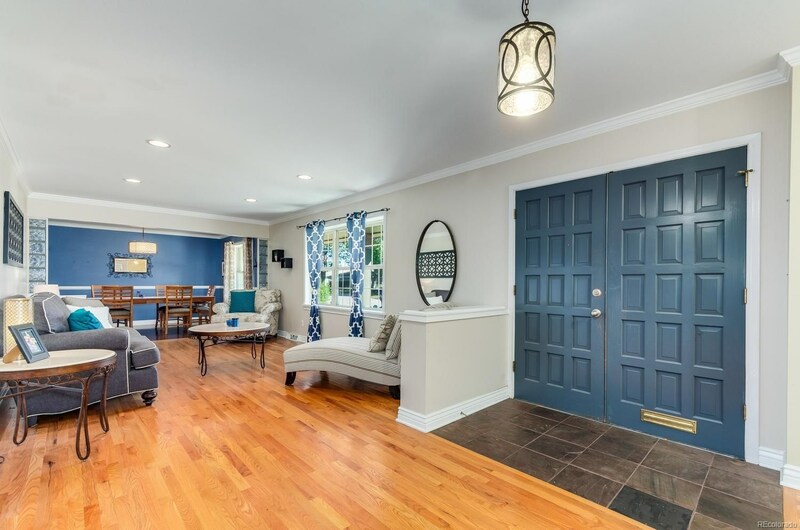 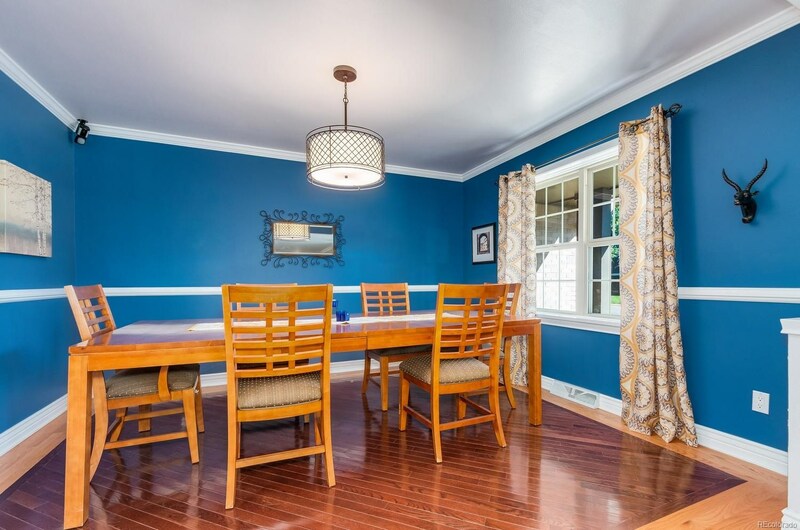 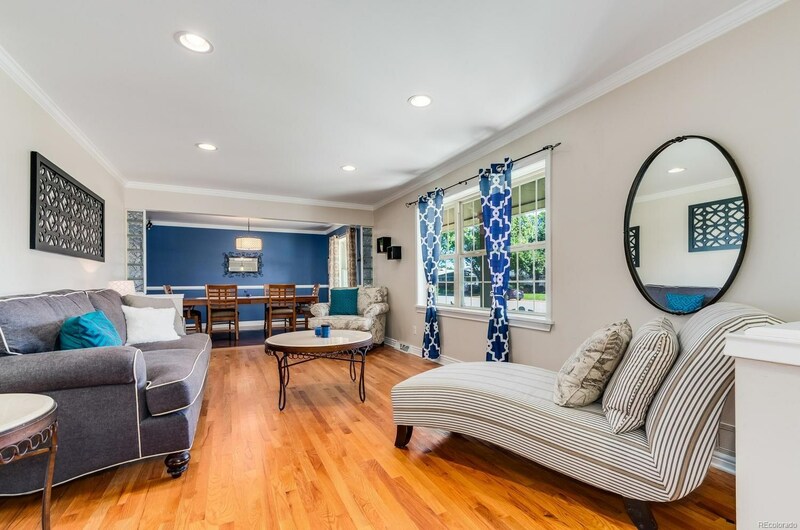 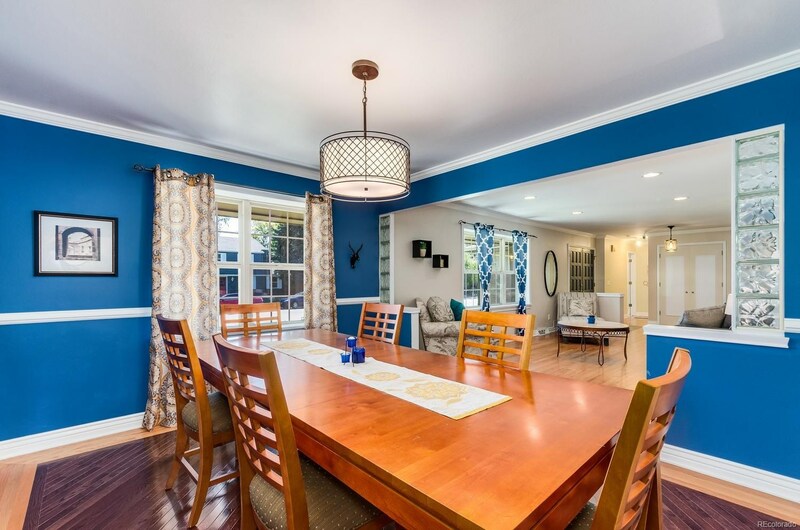 Hardwood floors and crown moulding throughout the main level give this lovely home a great feel. 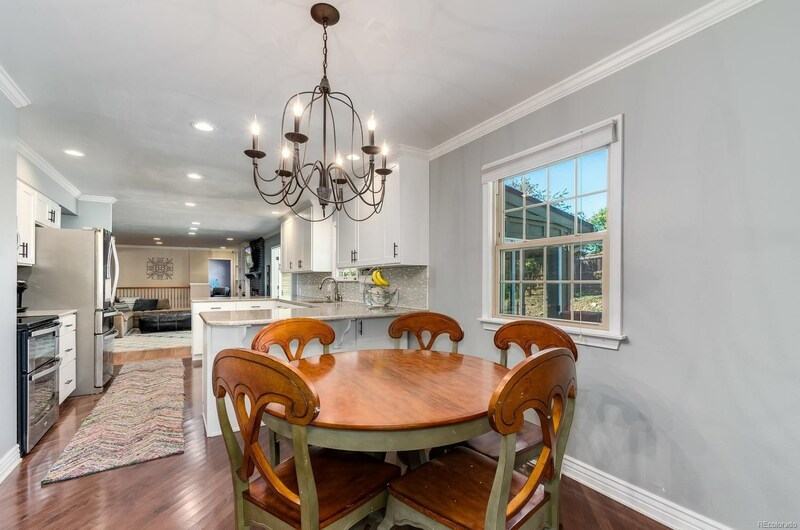 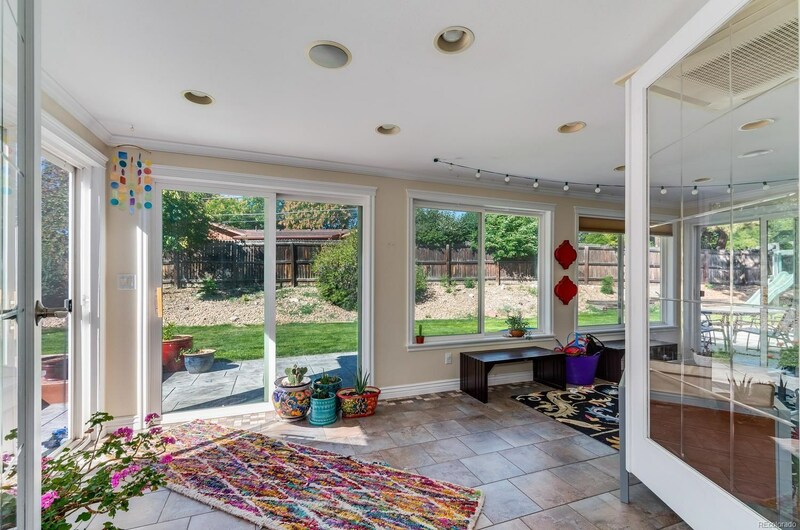 Open floor plan with formal living and dining rooms. 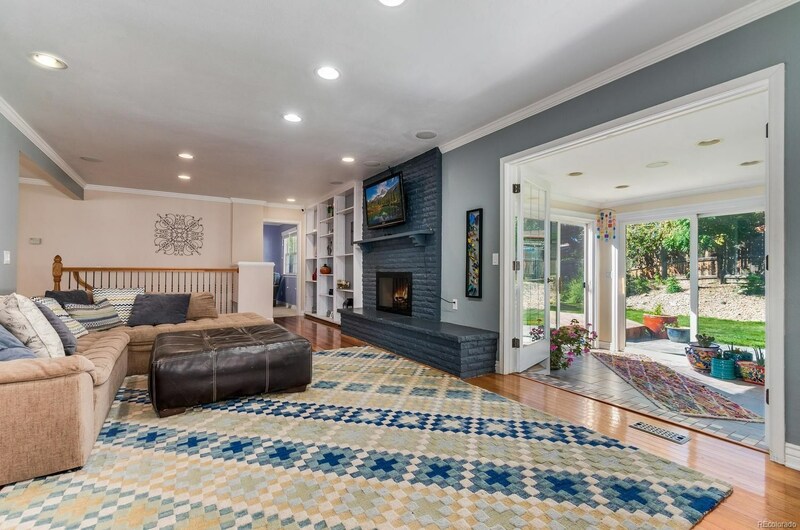 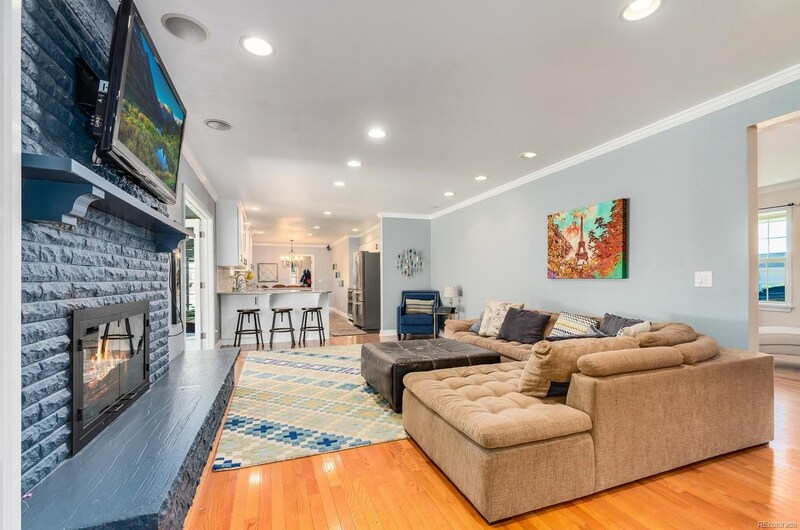 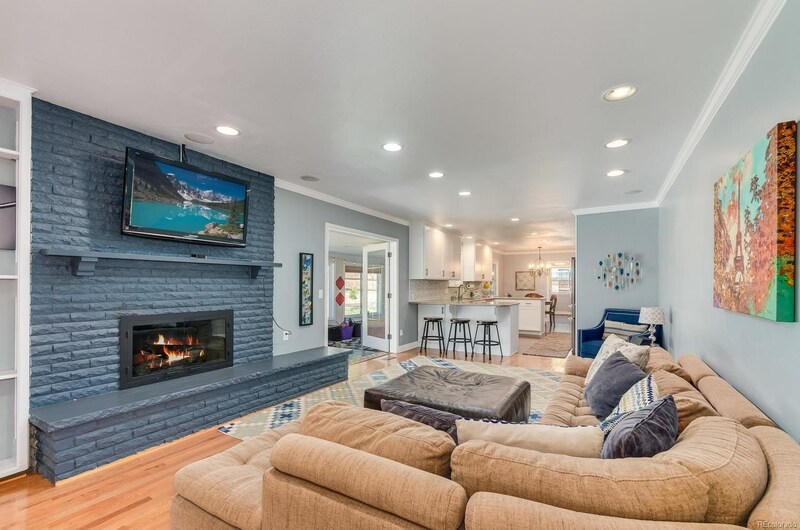 Cozy family room featuring a gas fireplace opens to the kitchen and sun porch. 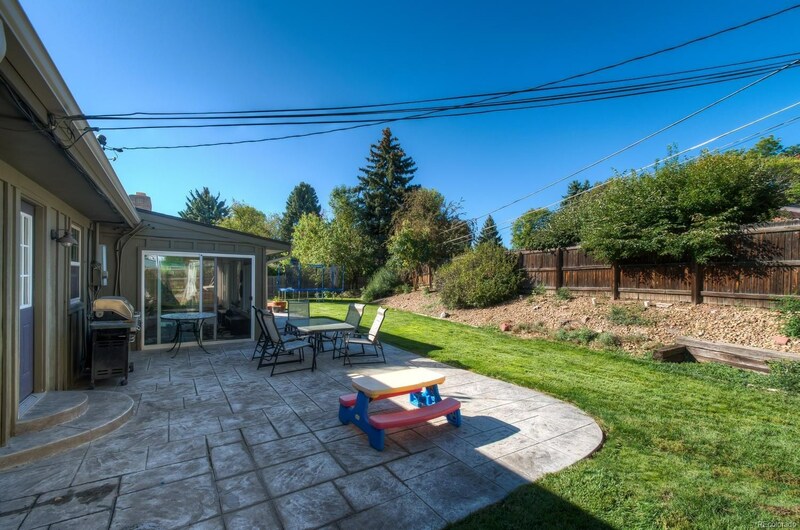 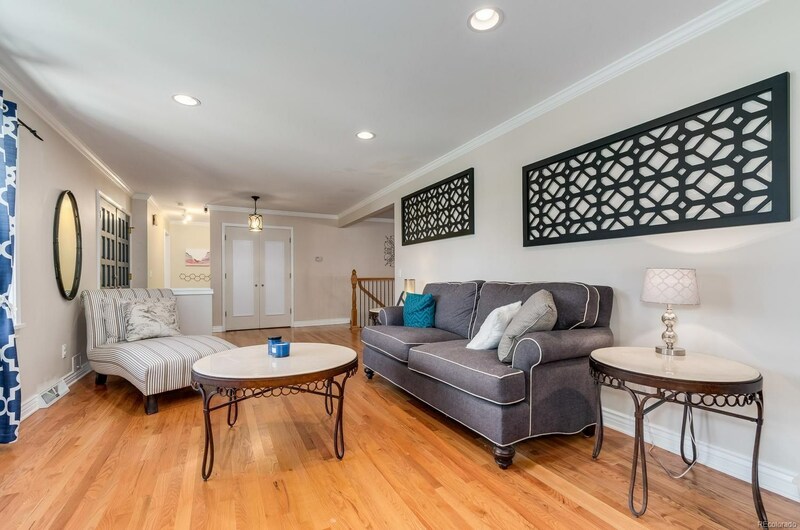 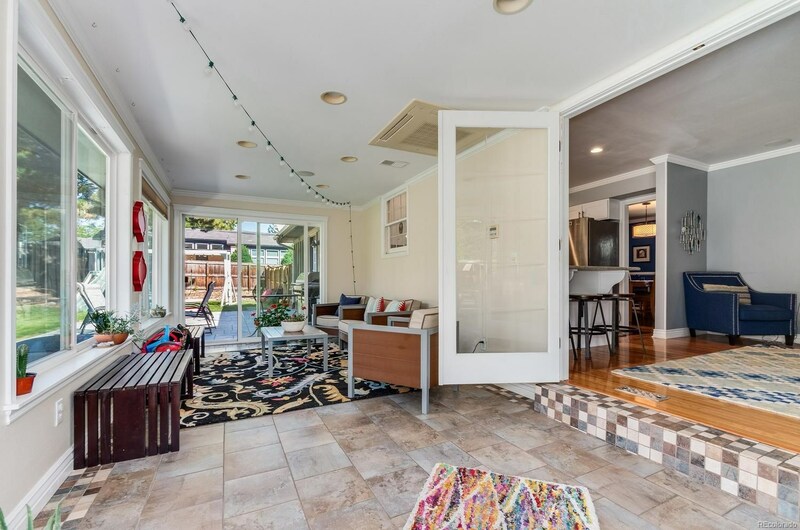 Step through the enclosed sun porch into a private fenced backyard w/ stamped concrete, deck and hot tub. 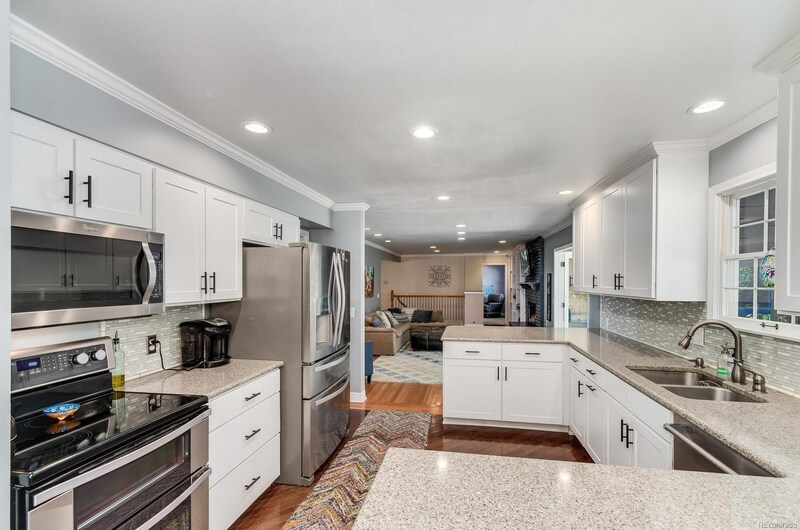 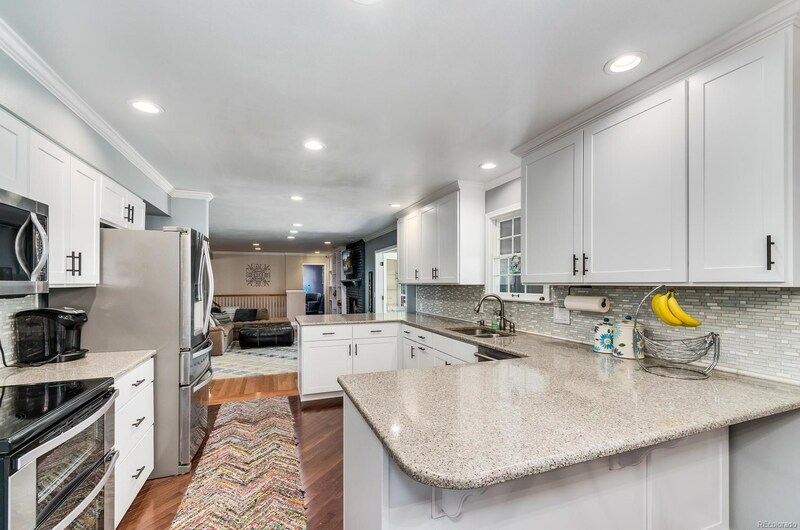 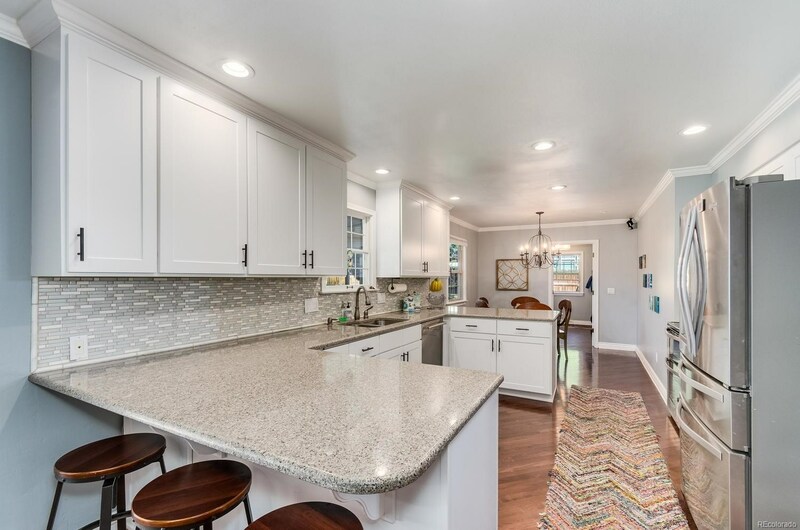 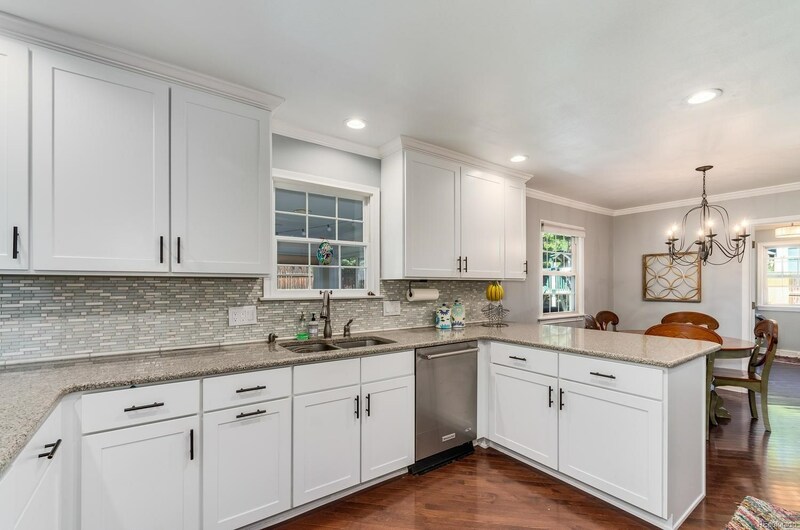 Refinished kitchen w/ beautiful slab granite, stainless appliances, breakfast nook and counter seating. 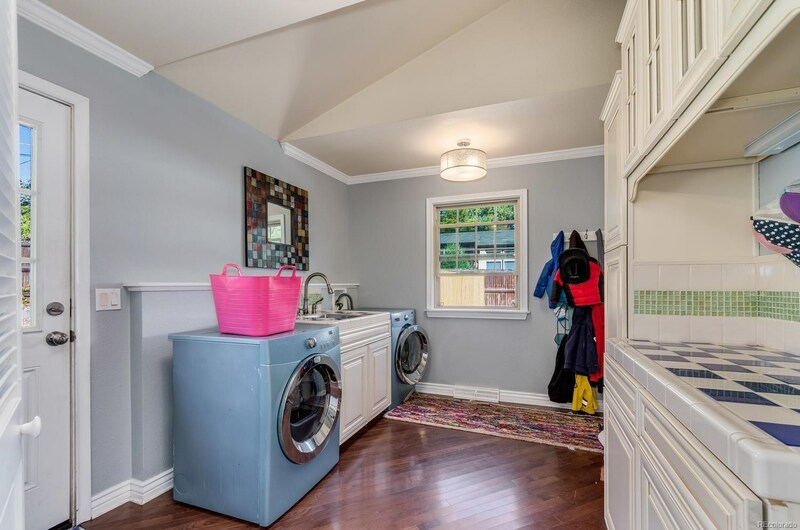 Large main floor laundry and pantry leading to an oversized 2 car garage. 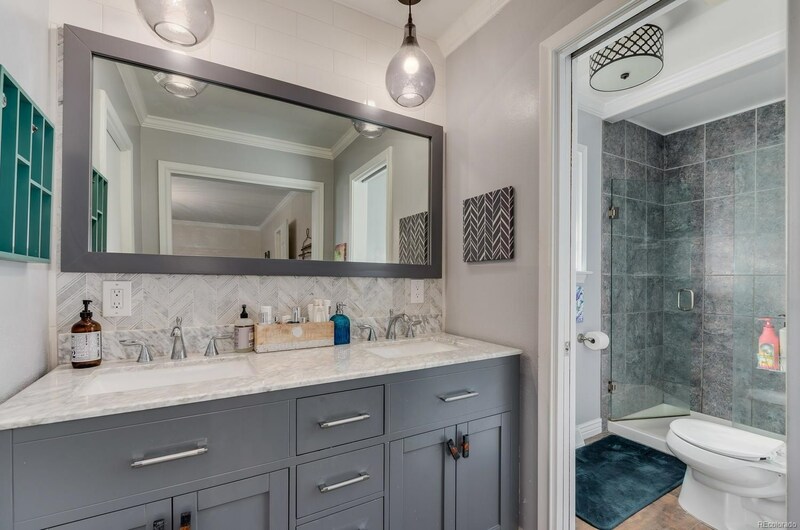 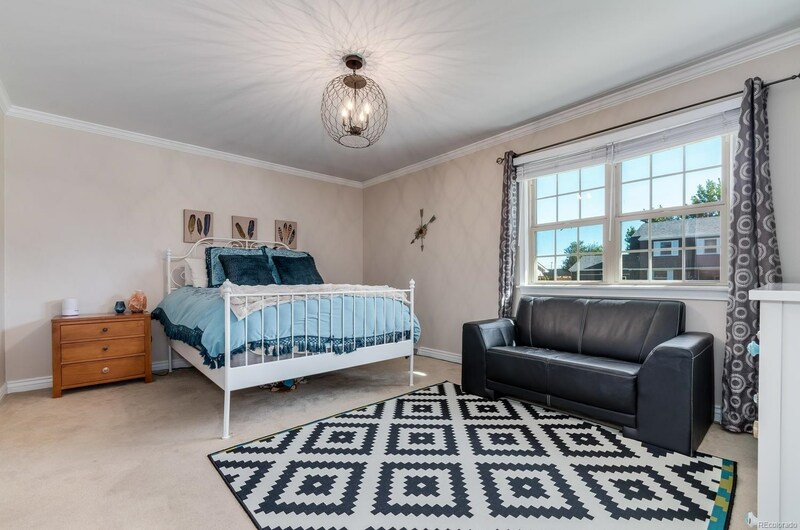 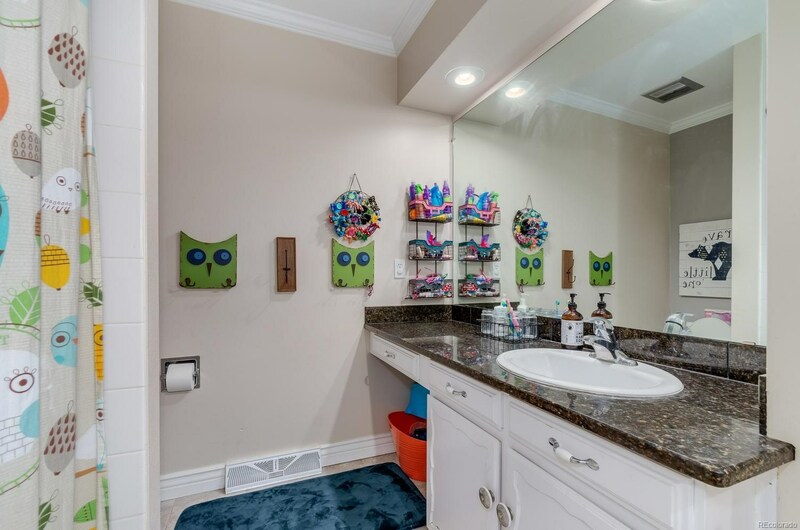 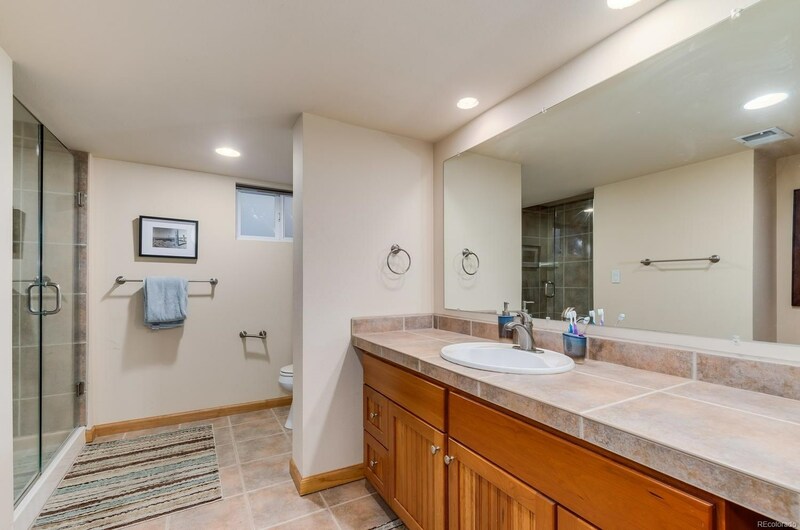 Master suite w/ updated wood-look tile, granite, glass block. 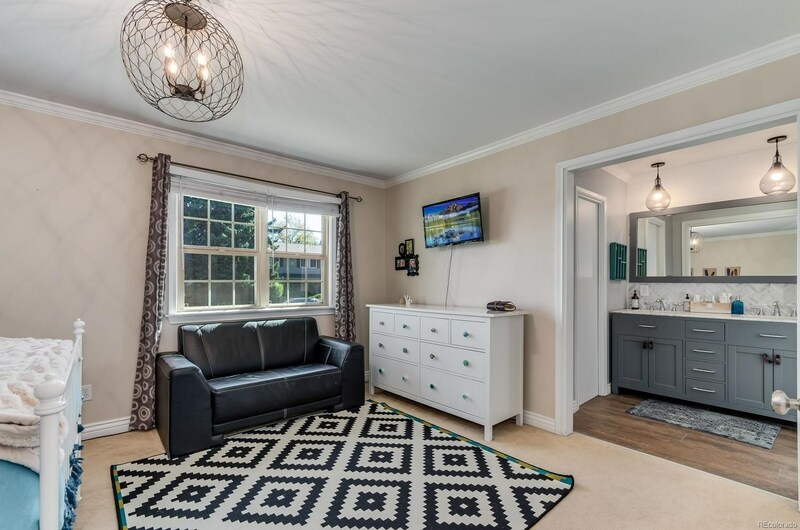 2 more beds on the main level share another updated full bath. 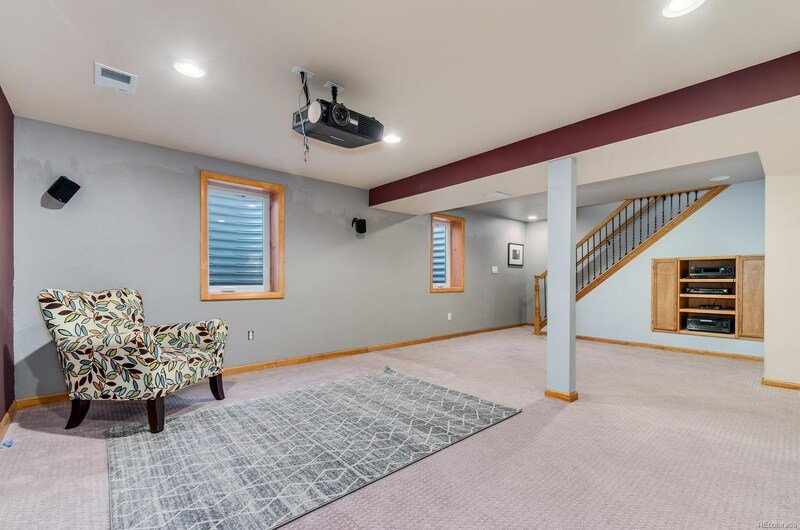 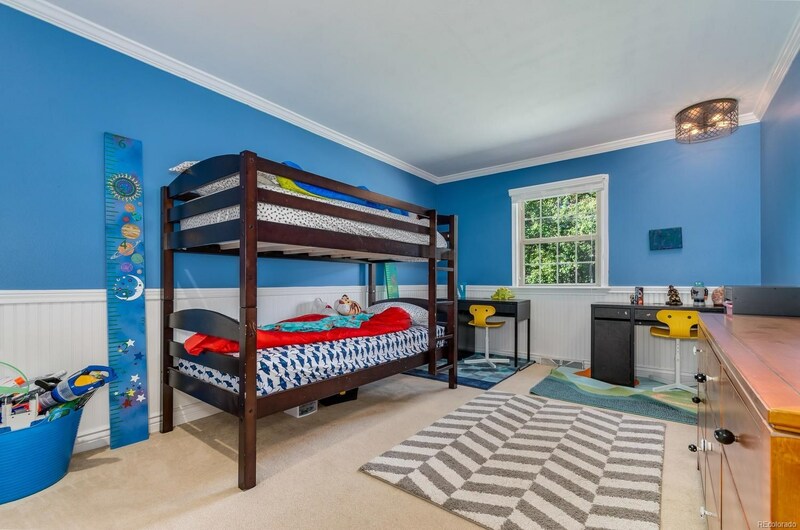 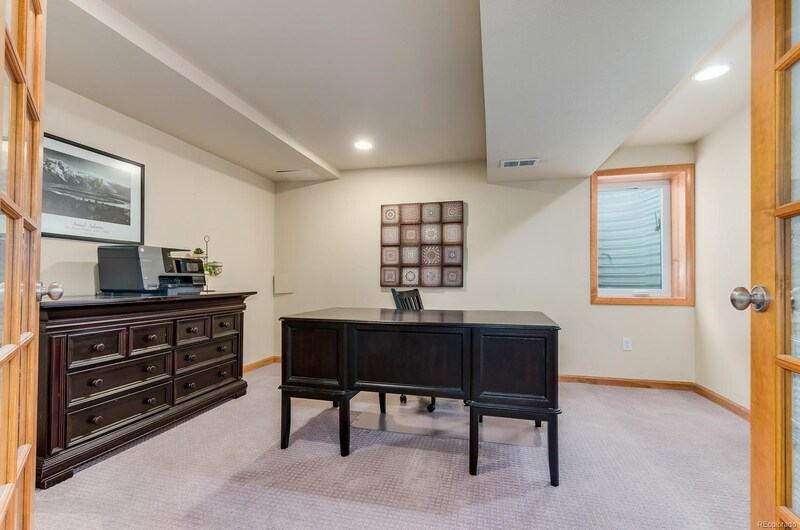 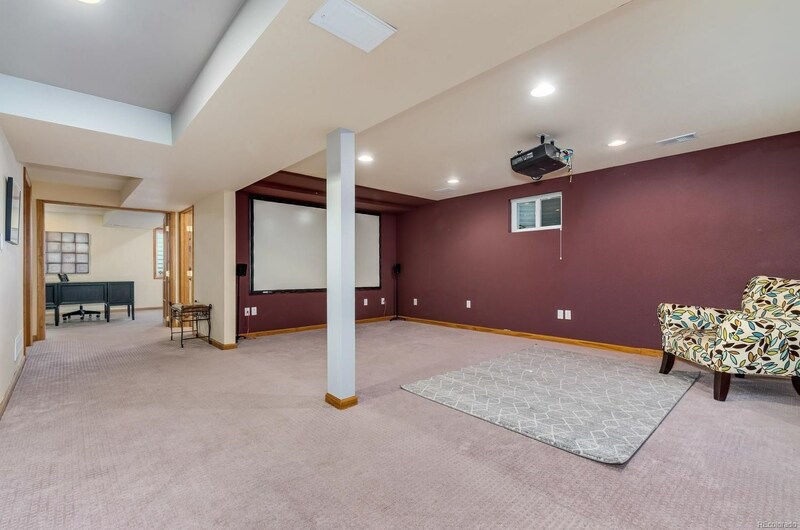 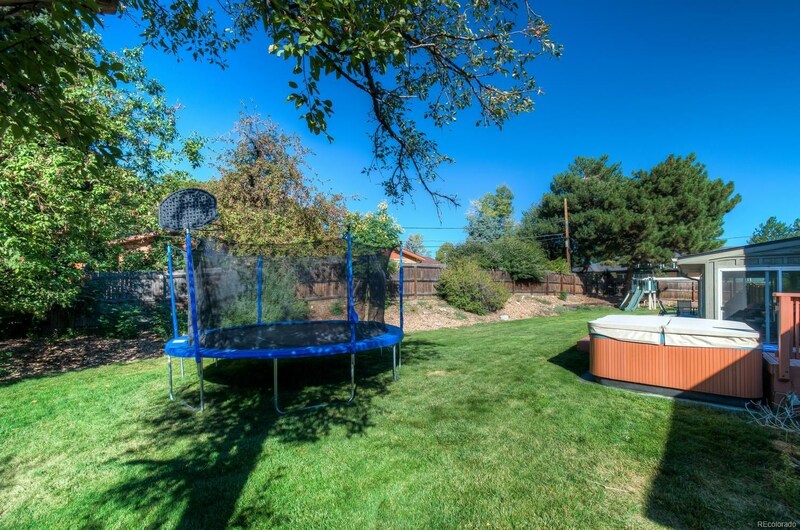 Basement sports a home theater, egress windows, 3rd bath and 4th bedroom w/ French doors. 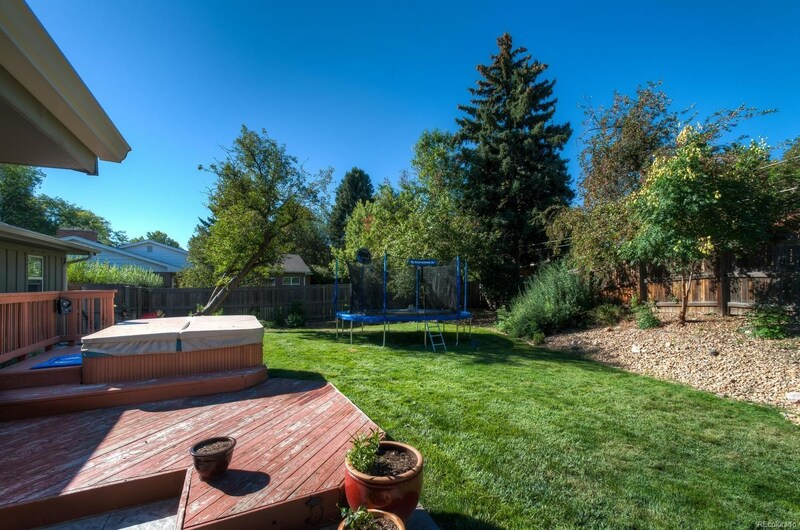 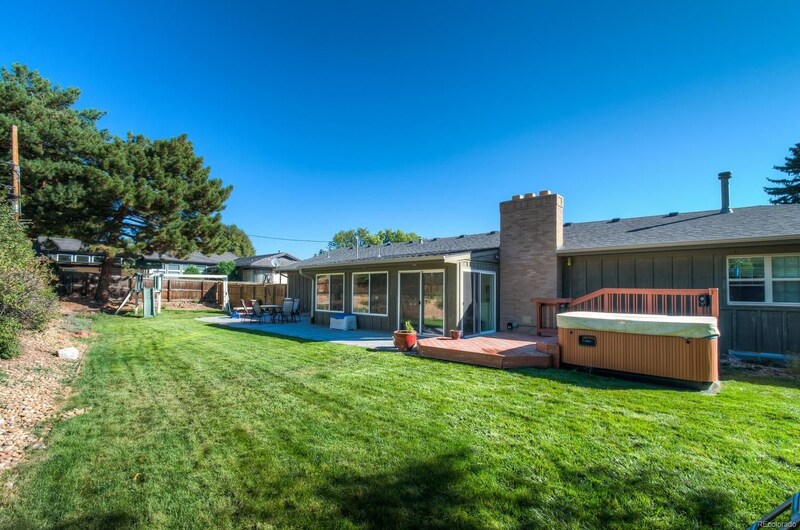 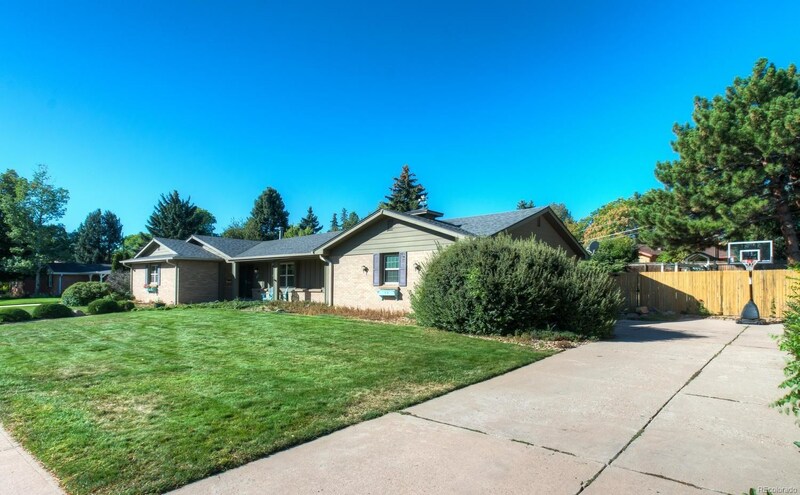 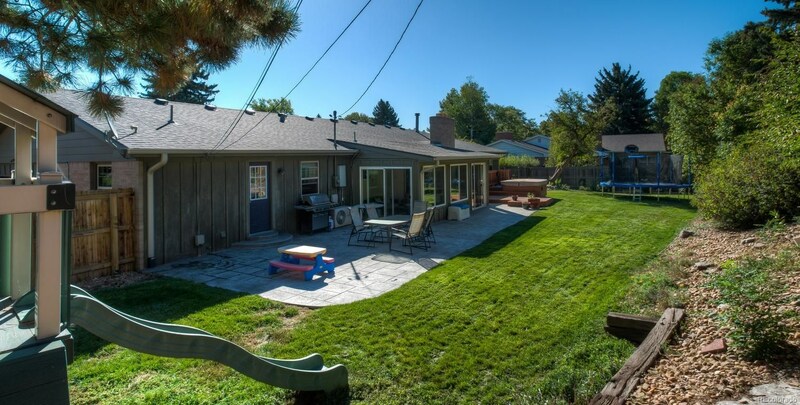 This charming and established neighborhood offers easy access to local parks, Light Rail, I-25, DTC and lots of dining and shopping including the new Happy Canyon Marketplace.